Schlock-Wire: Shout Factory Brings The 1st Season Of POLICE STORY To DVD In September – Schlockmania! Created by Joseph Wambaugh (The Onion Field), ex-cop-turned-author, Police Story is an anthology series detailing the lives of LAPD officers in a collection of realistic and gritty accounts of what it meant to be a cop in 1970s Los Angeles . The series became the archetype for many critically acclaimed shows that followed, including Hill Street Blues, NYPD Blue and Homicide: Life On The Street. On September 6, 2011, Shout! Factory will bring the long-awaited Police Story: Season One 6-DVD set to home entertainment shelves nationwide. Boasting 21 original episodes from the complete first season (1973-74), this highly collectible DVD set is packed with special bonus features, including all-new interview with series creator and production consultant Joseph Wambaugh, pilot film and movie of the week. 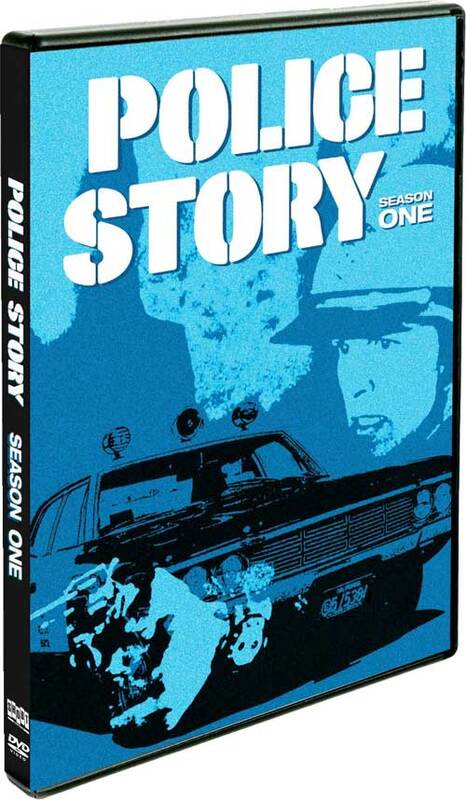 A must have for classic TV fans and collectors, Police Story: Season One DVD set is priced to own at $39.97 SRP. Throughout its five-year (1973-1978) run on network television, this Primetime Emmy® Award-winning series distinguished itself from its predecessors by a multi-dimensional portrayal of its protagonists — these cops were flawed, not cartoonlike heroes. From week to week, gripping episodes addressed complex issues such as police corruption and the challenge of leading a cop’s life. With no regular cast, the show featured different stars each week, as well as a rotating acting ensemble including James Farentino (Jesus Of Nazareth), Tony Lo Bianco (The French Connection), Don Meredith (NFL Monday Night Football), Vic Morrow (Combat! ), and Laraine Stephens (Matt Helm). Season One stars also included Ed Asner, Angie Dickinson, Kurt Russell and Dean Stockwell. Created by ex-cop-turned-author Joseph Wambaugh (The Onion Field), Police Story is an anthology series detailing the lives of LAPD officers in a collection of realistic and gritty accounts of what it meant to be a cop in 1970s Los Angeles. The series became the archetype for many critically acclaimed shows that followed, including Hill Street Blues, NYPD Blue and Homicide: Life On The Street. The series distinguished itself from its predecessors by a multidimensional portrayal of its protagonists — these cops were flawed, not cartoonlike heroes. From week to week, gripping episodes addressed difficult issues such as police corruption and the stresses and hell that can come with leading a cop’s life. With no regular cast, the show featured different stars each week, as well as a rotating acting ensemble including James Farentino (Jesus Of Nazareth), Tony Lo Bianco (The French Connection), Don Meredith (NFL Monday Night Football), Laraine Stephens (Matt Helm) and Vic Morrow (Combat!). Season One stars included Ed Asner, Lloyd Bridges, Angie Dickinson, Dean Stockwell and Kurt Russell. Next ArticleBLOODY BIRTHDAY: Our Children, Our Executioners?